Some thoughts on the writing life, its inspirations and its kicks-in-the-pants. 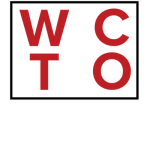 If you’d like to enrol in a workshop, check out the WCTO page. I’m adding more posts at the Words Matter blog.